« Homepage / Other Drugs / "Melperone STADA 25 mg, 10 mg / 100 mg"
Melperone is used for insomnia, confusion, often and excitation. Frequently, Melperone HCL is used when mentally ill and elderly patients. Further applications include dementia, alcoholism, and psychosis. Usually the Melperone hydrochloride salt is applied. You would expect a mild anti-anxiety or soothing effect, 20 to 75 milligrams Melperone hydrochloride tablet or in form of juice are given daily. 50 To 100 milligrams a day are common in more confused and troubled patients. The dose can be increased with severe Mania and hallucinations up to 400 milligrams daily. You need a stronger reassurance the evening or a wake and sleep aid, most of the daily intake is given in the evening. Administering Melperone in the muscle as syringe suitable priority to the beginning of the treatment and sudden, acute disease events. Melperone is weakly effective impact of antipsychotic drugs. Melperone raises anxiety or has a calming effect. Also, encouraging the asleep and sleep (insomnia) and brightened the mood. The active ingredient of Melperone block the dopamine – receptor in the brain. In particular, the so-called D2 receptors are inhibited. As a result, excitation and anxiety of the person concerned will be dismantled. Melperone inhibits even the serotonin receptors. Thus, the typical side effects of antipsychotic drugs, such as movement disorders and fatigue, are less pronounced. Melperone leads in low doses to relax and increased willingness to sleep. The effect against psychotic disorders (such as interference of visions or delusions) occurs only at higher dose levels. Child effects of Melperone are the muscle relaxing (muskelrelaxierende) effect and the effect against cardiac arrhythmias (anti-arrhythmische effect). In contrast to many other Neuroleptics, Melperone shows no lowering of the seizure threshold in the brain and increases lest the risk of epileptic seizures in normal doses. The medicine contains the active substance Melperone, in the form of Melperone hydrochloride. 8,78 Milligrams Melperone correspond to ten milligrams Melperone hydrochloride. 21,96 Milligrams Melperone correspond to 25 milligrams Melperone hydrochloride. 43.92 Milligrams Melperone correspond to 50 milligrams Melperone hydrochloride. 87,84 Milligrams Melperone correspond to 100 milligrams Melperone hydrochloride. Responsiveness is affected, so that drive as well as the ability to use machines can be reduced. A medical examination of Blutbilds should be done before starting treatment. No self-medication with painkillers may take place during the first three months of the treatment. A regular medical examination of the values is necessary for kidney, liver and cardiovascular dysfunction. The drug should be taken with coffee, milk and tea, because are otherwise reduces the effect of the drug. During treatment, it is necessary to give up alcohol. The drug contains lactose (milk sugar) and is therefore not suited to patients with glucose utilization. During the treatment a Neuroleptic Malignant Syndrome may occur (characterized by high fever, Bewusstseinstrübung, Muskelstarre and circulatory collapse); affected are mainly young people and Parkinson’s patients. In this case, the treatment must be cancelled immediately. Which of the active substance Melperone, Melperone STADA interactions are known 10 mg-25 mg / 100 mg? It is important to note that the interactions can be different depending on the pharmaceutical form of the drug (for example, Tablet, syringe, ointment). No alcohol and drugs also dampening any further soothing or the brain (other psychotropic drugs, sleep aid, opioid pain relievers, antihistamines) should be included in addition to Melperone. While there may be mutual efficiency gain to sudden toxic effects. When simultaneous taking of blood pressure devices, there may also be an excessive lowering of blood pressure. Even with the use of anticholinergic drugs, whose effect is amplified. The effect is weakened, however, of substances which are similar to act like the neurotransmitter dopamine. 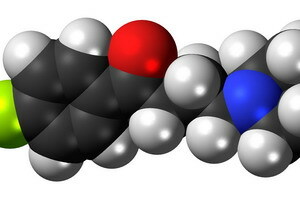 So called dopamine are for example the Parkinsonmittel amantadine, bromocriptine and levodopa. Substances which inhibit the neurotransmitter dopamine (such as metoclopramide, Alizaprid, and Bromoprid against vomiting), strengthen the movement disorders (extrapyramidal side effects) of Melperons. Caffeine in pain medication, but also in coffee and tea reduces the absorption of Melperone from the intestine into the body and should be taken therefore not together with the active substance. In addition, coffee, tea and milk with the active ingredient can form insoluble and therefore ineffective complexes. Melperone reduces the effects of Sympathomimetics such as phenylephrine (in nose drops). With adrenaline, an emergency drug that is administered in a shock exists in combination with Melperone the drop in blood pressure (so-called adrenaline reverse). Tri-and tetrazyklische antidepressants and Melperone mutually reinforcing in their effects and side effects. The dosage depends on the type and severity of the disease and should be carried out according to the recommendation of the doctor. To light calm, to release from fear and improve the mood mostly 20 to 70 milligrams Melperone hydrochloride per day sufficient (equivalent to two to seven tablets of the lowest dosage). Restlessness and confusion the dosage to up to 200 milligrams Melperone Hydrochloridtäglich, severe delusions or confusion with aggressiveness up to 400 milligrams can be increased daily (equivalent to two and four tablets of the highest dosage). The dose should be distributed to multiple Einzelgaben. The patient requires a deposit or sleep aid, the highest dose is administered in the evening. The drug should be taken after meals and at the same time with tea, coffee or milk. The duration is not limited, it should but as short as possible. The desired effect is sometimes only after some time (in some cases up to three weeks) a. Then, a reduction in the dose of possible (maintenance dose) is possibly. The following information on contra-indications in the application-25 mg, 10 mg / 100 mg in General, pregnancy & lactation, and children of Melperone STADA. It is important to note that the contra-indications can be different depending on the pharmaceutical form of the drug (for example, Tablet, syringe, ointment). When Melperone STADA cannot use 10 mg / 25 mg / 100 mg? Tumors that are dependent on the hormone prolactin, such as the breast cancer. The injection of Melperone HCL in the muscle may not be in patients with serious blood clotting disorders, or in patients who take blood clot-inhibiting means (anticoagulants). Melperone should be applied not in pregnancy. So far, there is too little experience with this drug in pregnancy in humans. However, animal studies show no evidence of damage to the embryo. Although the substance in breast milk is transferred, but damage to the babies is unknown so far. As a security precaution should be breast-fed from application of Melperone. Children under 12 years should not take this drug, because there is no experience in this age group. What side effects can the active substance Melperone, Melperone STADA have 10 mg-25 mg / 100 mg? Below, you will learn the most important thing possible, well-known side effects of Melperone, Melperone STADA 25 mg, 10 mg / 100 mg. These side effects should not occur, but can. Because everyone reacts differently to medications. Please also note that the side effects in type and frequency can vary depending on the drug form of the drug (for example, Tablet, syringe, ointment). Rare side effects (especially at the beginning): blood pressure reduction; Disorders; Fatigue; Heart palpitations; Liver enzyme increase; Bile congestion (intrahepatic cholestasis); Jaundice; Skin reactions. Very rare and occasional side effects: blood count disorders (leukopenia, thrombocytopenia, Pancytopenia, agranulocytosis); Neuroleptic Malignant Syndrome; Parkinson-like errors (Parkinson’s disease); Movement troubled (akathisia); Weight gain; Milk; Menstrual cramps; Breast growth (gynecomastia). Side effects without specifying the frequency: stomach complaints; Heart excitation conduction abnormalities. Special: for suspicion of a life-threatening Neuroleptic Malignant Syndrome (with fever, muscle strengthening, impotence, Bewusstseinstrübung to a coma and other symptoms) must immediately disposed of the medicinal product and the doctor visited are. The risk of blood clot formation (thrombosis) is bedridden patients or patients with the facility to do so. Not be excluded can the occurrence of anticholinergen effects, nausea and vomiting, diarrhea, or loss of appetite.